It's The 174th Birthday Of The Detective Story, So Read The Very First! Or re-read, more likely. Take a coffee break and enjoy Edgar Allan Poe’s The Murders in the Rue Morgue, published in 1841 in Graham’s Lady’s and Gentlemen’s Magazine (and written before the word “detective” was in use). 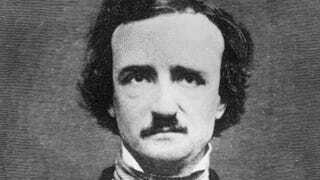 Read it via the Poe Museum’s website, among other short-story selections, here.